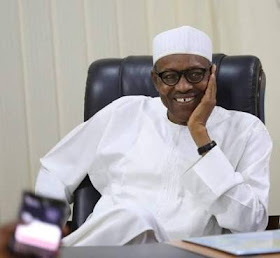 President Muhammadu Buhari yesterday bemoaned the looting of the treasury by past administrations, saying the stealing was too much. The looters, he said, were so inept that they did not cover their tracks well. The President spoke in London while receiving the Buhari Diaspora Support Organisation led by Mr. Charles Sylvester. Buhari also met with All Progressives Congress (APC) stalwart Asiwaju Bola Ahmed Tinubu at the Abuja House in London yesterday. Details of their meeting were not disclosed. A statement by his Special Adviser on Media and Publicity Femi Adesina said the failure of some past administrations put the country where it is today. “The failure of some of the leadership we had in the past led to our not being able to capitalise on resources to improve the lot of the people”. The damage done to the economy in the years of plunder, he said, was massive, adding that the government was doing its best to recover some of the loot. The President said: “If they had used 50 per cent of the money we made, when oil prices went as high as $143 per barrel, and stabilised at $100 with production at 2.1 million barrels per day for many years, Nigerians would have minded their businesses. Sylvester said the group was happy with the President’s achievements so far. He said: “You met a difficult situation, but you have overcome most of them. We are happy with the agriculture revolution, the ease of doing business, the anti-corruption war, the employment of youths through the N-Power programme, and the blockage of leakages in the public sector through the Treasury Single Account (TSA).